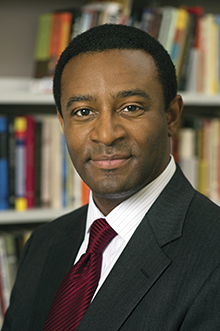 MMUF PhD Garikai Campbell (Swarthmore '90) was named Provost and Senior Vice President of Morehouse College in July 2013. 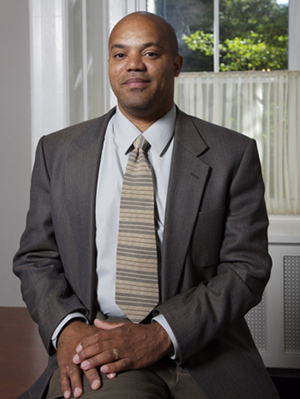 Dr. Campbell earned his PhD in mathematics from Rutgers University in 1998. Previously he was Dean of Academic Affairs and Associate Professor of Mathematics and Statistics at Swarthmore College, where he also served as coordinator of Swarthmore's MMUF program. Congratulations to Garikai! MMUF PhD Neil Roberts (Brown University '98) earned tenure at Williams College in December 2013 (see the announcement here). Neil earned his PhD from the University of Chicago in political science in 2007. He completed a postdoctoral fellowship at Johns Hopkins University before his arrival at Williams in 2008. 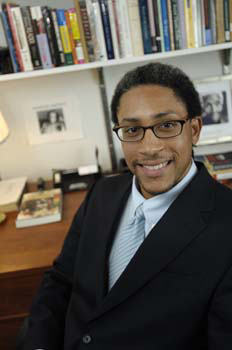 MMUF PhD Patrice Rankine (Brooklyn College '92) has been named dean for the arts and humanities at Hope College. Patrice previously served as assistant head of the School of Languages and Cultures and director of the Interdisciplinary Program in Classics at Purdue University, where he has taught for the last 15 years, following his completion of a PhD in classical literature from Yale University in 1998. Patrice will also serve as a professor of classics at Hope College. Beasts of No Nation, the debut novel of MMUF fellow Uzodinma Iweala (Harvard '04), will be adapted into a film starring Idris Elba and directed by Cary Fukunaga. Beasts of No Nation, which was published in 2005 and became a New York Times bestseller, tells the story of Agu, a young boy who is forced to become a child soldier during a period of civil war in his unnamed West African homeland. Read more about the film adaptation here. MMUF PhD Ben Vinson (Dartmouth '92) has been named the Dean of Columbian College at George Washington University, effective August 1, 2013. Columbian College is GWU's largest and oldest school, with an enrollment of over 5,000 undergraduates and 2,000 graduate students. Ben earned his PhD from Columbia University in history in 1998, after which he taught at Barnard College and Penn State University.